A small tartan bonnet with a wide band and a toorie (pom-pom) acquired its name from the eponymous poem by Robert Burns. 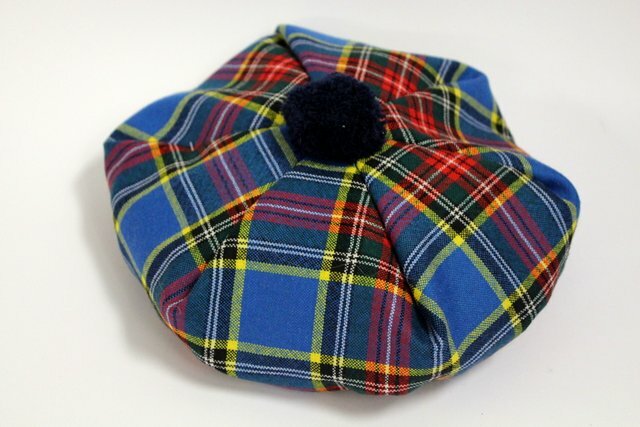 Each of the dozens of the Scottish clans has their own, well-defined bonnet colors, which cannot be confused (depicted is the Tam o’ Shanter of Mcbeth Clan). Today the bonnet is known as a headgear of the Scottish regiments of the British Army, where it is called the Balmoral bonnet, named after the royal residence. 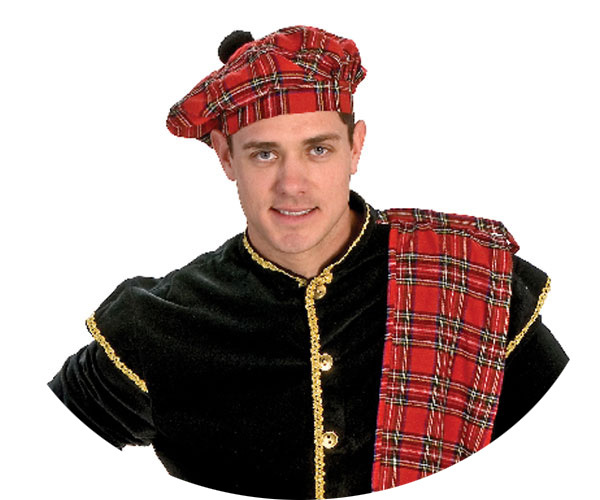 The checkered pattern of the Tam o’ Shanter, same as those of the Scottish kilts and plaids, is called tartan and created by twill weaving of woolen yarns dyed in various colors in advance. The general rule of this pattern is that the warp and the weft are to repeat the same sequence of colors, so that there was always a diagonal line with respect to which the pattern is symmetric. For the record of this sequence there is even a system where the colors and the number of threads for each stripe are written sequentially.